This essential resource explores how trauma disrupts learning and explains how to create a safe space where all students can learn at high levels. From the front Cover In this galvanizing book for all educators, Kristin Souers and Pete Hall explore an urgent and growing issue--childhood trauma--and its profound effect on learning and teaching. 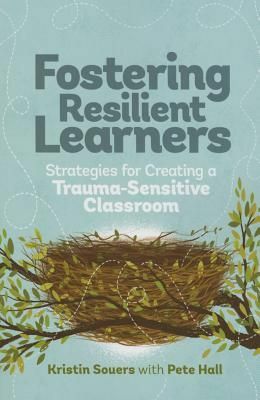 Grounded in research and the authors' experience working with trauma-affected students and their teachers, Fostering Resilient Learners will help you cultivate a trauma-sensitive learning environment for students across all content areas, grade levels, and educational settings. The authors--a mental health therapist and a veteran principal--provide proven, reliable strategies to help you * Understand what trauma is and how it hinders the learning, motivation, and success of all students in the classroom. * Build strong relationships and create a safe space to enable students to learn at high levels. * Adopt a strengths-based approach that leads you to recalibrate how you view destructive student behaviors and to perceive what students need to break negative cycles. * Head off frustration and burnout with essential self-care techniques that will help you and your students flourish. Each chapter also includes questions and exercises to encourage reflection and extension of the ideas in this book. As an educator, you face the impact of trauma in the classroom every day. Let this book be your guide to seeking solutions rather than dwelling on problems, to building relationships that allow students to grow, thrive, and--most assuredly--learn at high levels.